The Winter Olympics in Sochi are now officially open. Over the next 16 days, around 3,000 athletes will be competing for 98 medals. It is the most expensive Olympic Games in history, with the total cost expected to be more than 37 billion euros. Russian organisers say a record number of world leaders are attending – triple the amount that attended the 2010 Vancouver Games. While the build-up to the event has been overshadowed by controversy over terror threats, gay rights and unfinished hotels, organisers hope the focus can now be on the sport. 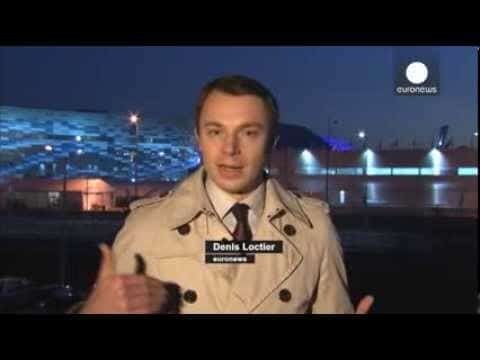 As the Games were officially declared open at a glittering ceremony, we tested the temperature on the ground with our correspondent Denis Loctier. “There is a festive atmosphere everywhere in this big, sprawling city. Sochi is stretched along the coastline of the Black Sea. It’s actually a few neighbourhoods clustered together and the sporting sites are rather compactly gathered in the Olympic Park and mountain cluster. “This is one of the particular aspects of these Olympics, a compact area that is easier to control and to protect, and all the social events are here too. “Frankly, I thought security measures would be more intense or obvious. In recent days we haven’t seen anything special as far as security is concerned. “Still, patrols have been carried out, especially along the Olympic Torch relay route. Transport is also being checked, because public transport has frequently been targeted for terrorist attacks in Russia. But, otherwise, special security measures are not very visible. “Obviously, Sochi does not have what many people think of as a typical Russian winter. It is actually a seaside resort, more famous for bathing and getting a suntan on the shores of the Black Sea. “Nevertheless, so far the Games are running smoothly without any particular glitches. “In the mountains where the ski slopes are, where the competitions needing snow are being held, it is quite cold and the quality of the pistes, according to athletes, is wonderful. “Here, down near the sea, daytime temperatures are 10-12 degrees Celcius. There’s a lot of sun and sometimes it is even hot so we have covered arenas with a controlled climate for relevant competitions.